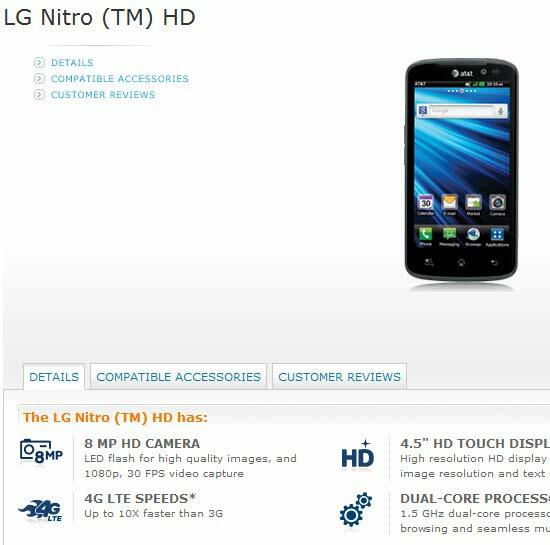 One week earlier AT&T announced that they will ship LTE enable LG Nitro HD from December 4th. And as expected everything went well. The Nitro HD aims to be the most impressive Android device to date on AT&T network and AT&T is so proud of it that it threw a party to celebrate its landing on its LTE network. LG Nitro HD is the first smartphone in AT&T's line-up to feature a 4.5-inch True HD AH-IPS screen with 1280x720 resolution. The HD AH-IPS screen is the key selling point of the LG Nitro HD. Inside its body you will find a 1.5GHz dual-core processor and 1GB of RAM, a combination which will be able to handle pretty much everything thrown its way. Nitro HD is looking to challenge Verizon's two HD monsters - the Samsung Galaxy Nexus and the HTC Rezound. So its good for the buyers who wish to change there smartphone for the upcoming Christmas. At the back of the Nitro HD there is a 8MP 1080p video-recording camera with LED flash, while video chatting is covered by a 1.3MP front-facing snapper. On-board storage is 4GB, but you can expand it up to 32GB with a microSD card, there's a 16GB card included in the retail package. So i hope most of the users will find it enough. LG Nitro HD measures 133.9 x 67.8 x 10.4 mm and weighs 127 grams, which is more pocket able than HTC Rezound. The LG Nitro HD is now available both online and offline AT&T stores. You only need to spend $249.99 on a two-year contract. Check out AT&T website to find many attractive sides of Nitro HD LG offers.